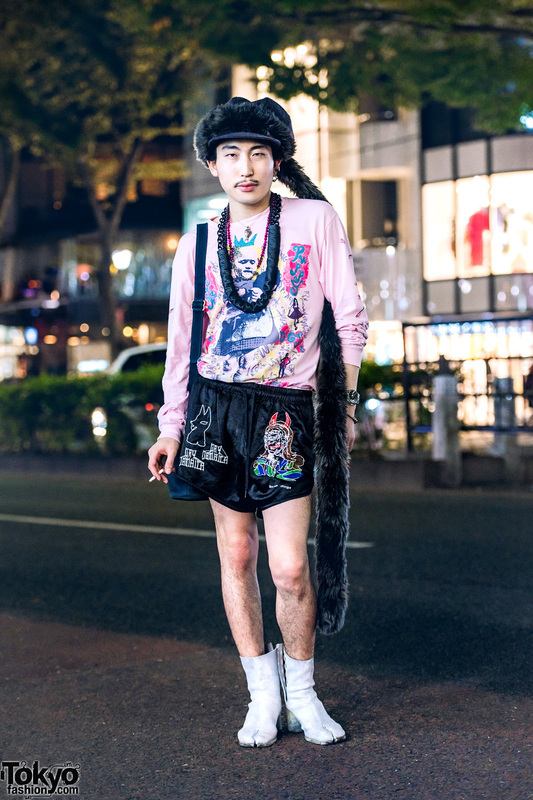 Japanese artist in a statement-making streetwear style while out and about on the Harajuku street. 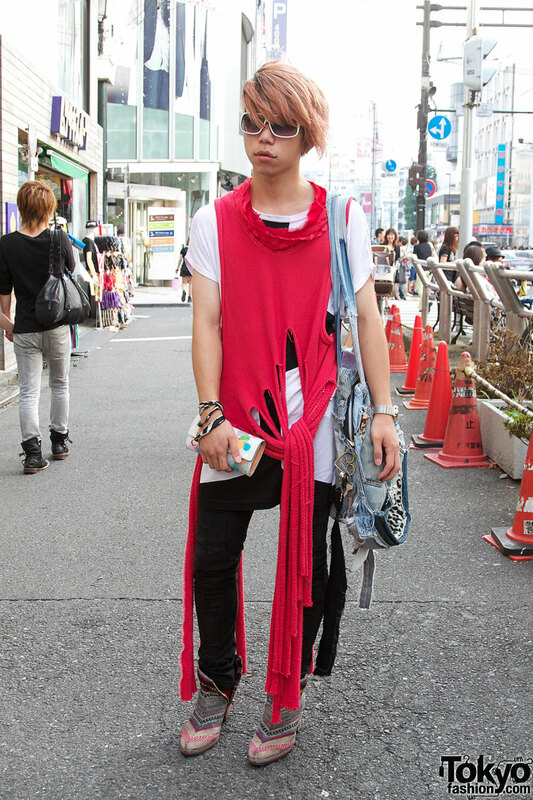 A stylish guy in Harajuku wearing high heel Banal Chic Bizarre boots, white sunglasses & a distressed Nozomi Ishiguro top. 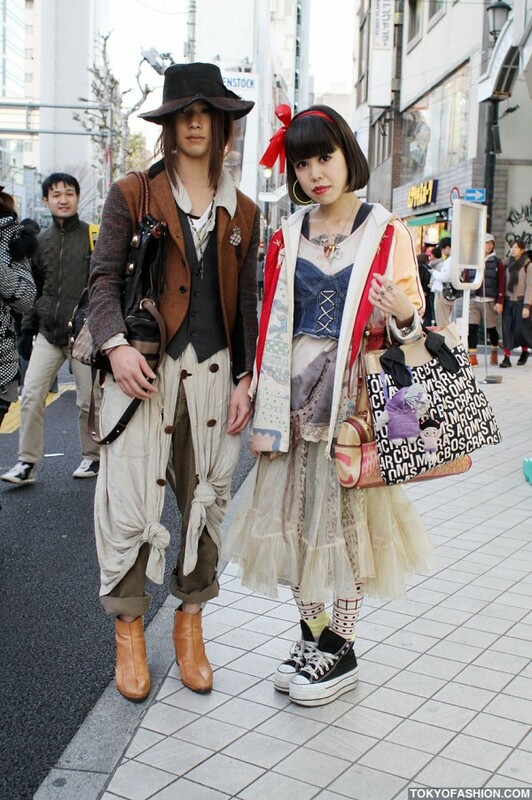 A stylish Japanese girl and guy in Harajuku – she’s wearing layered vintage fashion & he’s wearing items by designer Christopher Nemeth.